Christ taught us to love our neighbor. Well here is another example of how the simple act of obeying laws we deem “fluid” based on location, car, mood, etc. can become a day-to-day expression of that love simply because you care enough to be considerate of the person or persons you may never see otherwise. ANTI-SPEEDING ads have been done to death, which is perfectly appropriate when you consider how many people die every year because of speeding. But this ad from our friends in New Zealand turns the subject on its head. It asks speeders, who may think they’re in control, to think about the mistakes that other drivers make. And in doing so, it literally makes time stop. The ad opens with its focus on a father who is waiting to turn onto a country road with his son sitting in the back seat. The father makes a mistake. He pulls out in front of a car which is travelling towards him too fast. Moments before the two vehicles collide, time freezes. Both drivers get out of their cars and walk towards each other. “Mate … I’m so sorry, I thought there was time,” the father says. “Please. I’ve got my boy in the back,” says the father. The other man looks over and sees the child in the back seat. Both men walk back to their cars. The second man looks at his speedometer, which says he’s moving at more than 100km/h. The father takes one last look at his son, with pain etched all over his face. Then time restarts, and the two vehicles smash into each other. As the screen fades to black, the words “Other people make mistakes. Slow down” appear. Watch the ad. It might haunt you for a while, but that’s probably a price worth paying. 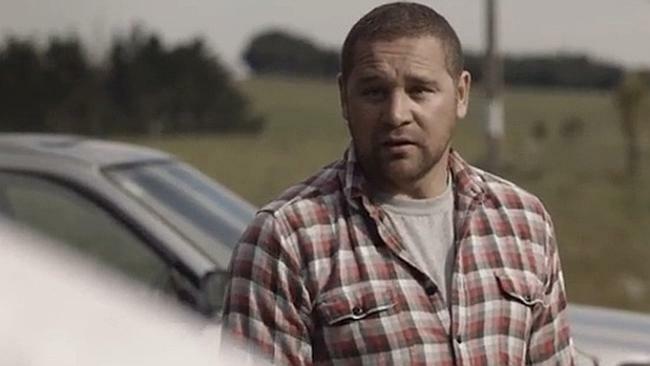 via This anti-speeding ad from New Zealand will haunt you | News.com.au.